As some of you may know, in my early natural years, I came up with the idea of wearing a half-slip as a “bonnet” to accommodate my down and out hair. I’d put the waist around my head and cinch the bottom of the slip closed with a rubberband. I showed this to you all in A Bonnet for Every Occasion, but here it is again in case you forgot or missed it ;). Fast forward to three or four years ago. 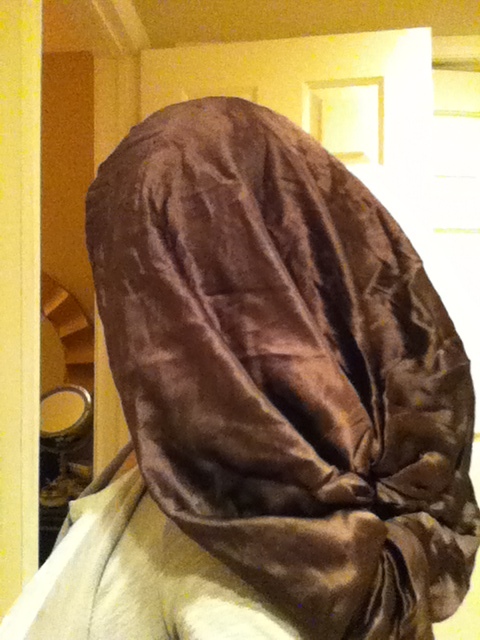 I thought about making a real bonnet that accomplished the same thing by buying silk and/or satin fabric and creating the “funnel” with drawstring closures at both ends. Even told my bestie about it and how I thought it really fit a need in the marke. Never did anything. So, imagine my surprise when I was perusing pics in my Instagram news feed a few months ago and saw this post by MyHairFestish. DANG!!!! This silk bonnet by Blensblend ($27 for extra large) is the incarnation of an idea I had several years ago, but never executed! So, of course I started asking all kinds of questions and MyHairFetish appeased my curiosity and expressed her satisfaction by creating this video review!! Well, of course I had to get one. 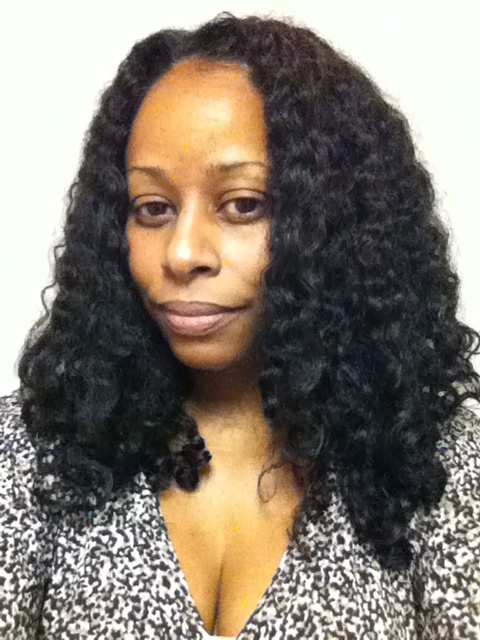 I love my EboniCurls Ebonnet, which is super large and helps my hair retain moisture, bit it has no “hang time.” So, if I try to wear my hair down in it, I end up with a mushed, tangled mess with flattened and crooked curls. And, a pineapple with a scarf and/or bonnet has also never worked too well for me due to my straight nape. 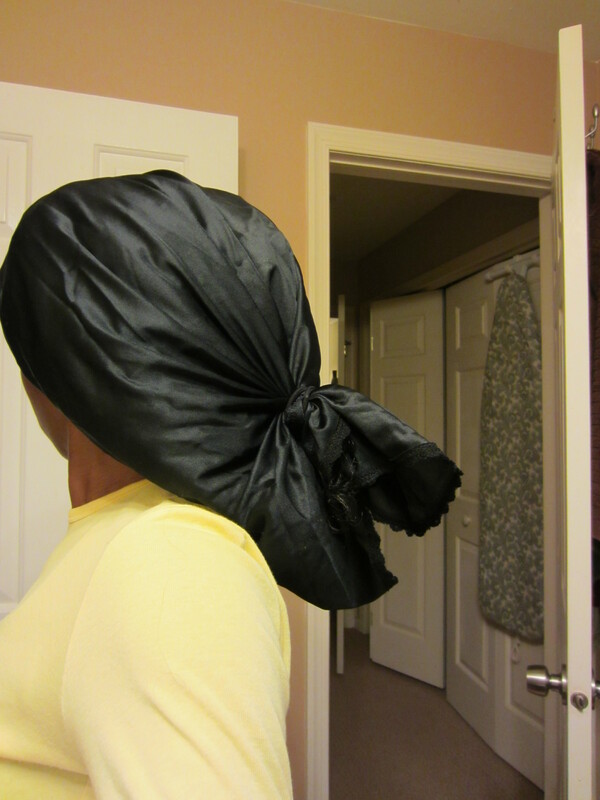 So, I would try the pocket bonnet like My Hair Fetish demoed in the video (but that would compress my hair too much) or revert to the slip solution. 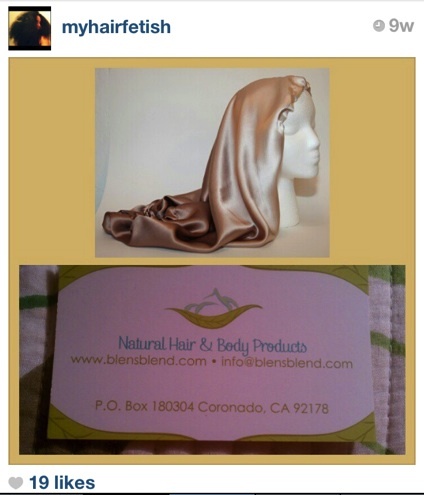 But now, I have the Blensblend silk bonnet and have been wearing it for about a month and it is working really well!! It does sometimes slip off at night, but I think it’s because I should probably tie the hidden elastic tighter. And, I just haven’t gotten around to it. 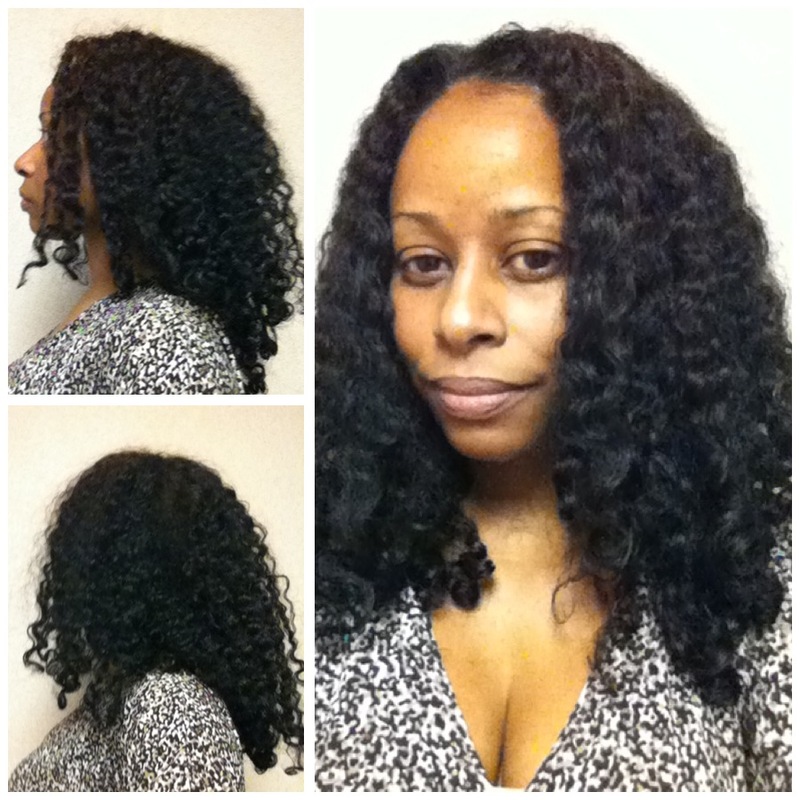 Here is my Day 2 braid-out from yesterday after wearing the bonnet overnight. So yeah, I’m very pleased with my purchase! I’d give it 4 1/2 stars out of 5!! Have you found a bonnet that works perfectly for your hair? 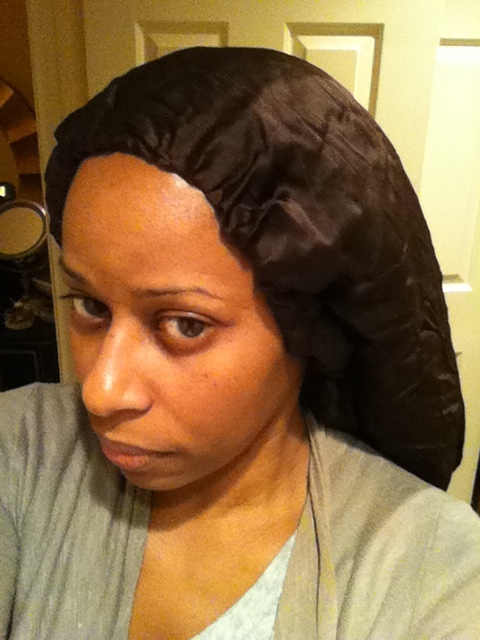 Do you have different bonnets/scarves for different hairstyles? Off to the fabric store I go…I’ll be making my own this weekend (made my own ebonnets too)! Kim, did you make it yet??? You know that I want you to post a pic on FB!!! Hey lady!!! You know, it’s still almost $10 cheaper than the Ebonnet, so I didn’t think it was too bad, especially given that it’s 100% silk and silk isn’t cheap. But, you’re right, I shoud have patented the idea and I should just make these myself!!! LOL!! I was hunting for this article last night. Thank you for writing it! I ordered yesterday and I’m sure ill end up with another.